We’re going to let you in on a little secret… Once you learn how to properly braise meats you automatically win at every holiday. 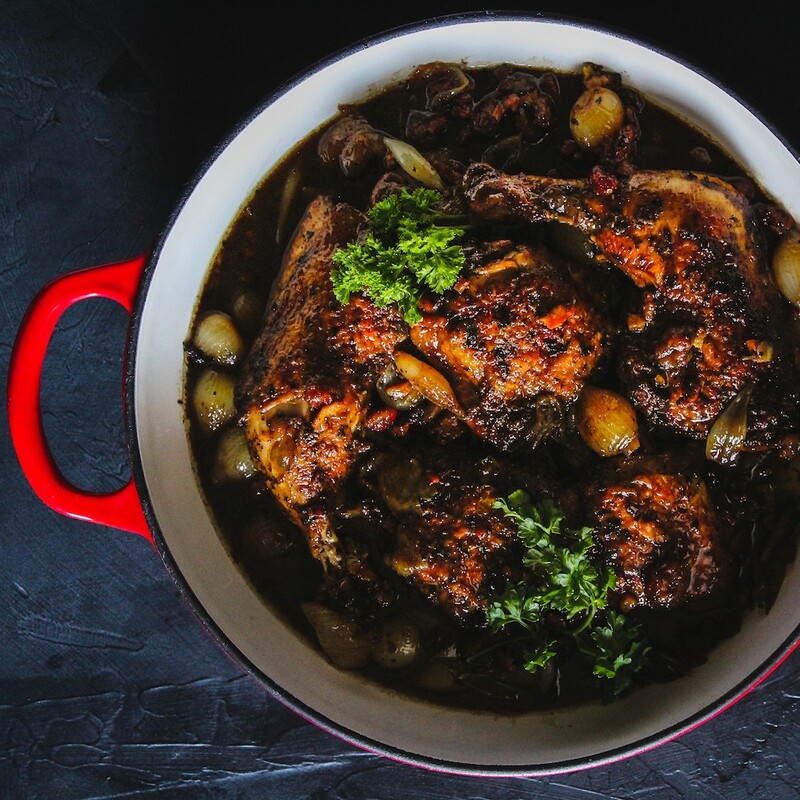 That may sound like a stretch, but we’ve fed a crowd this balsamic braised chicken to rave “how did you make this?” reviews that put a typical Thanksgiving turkey to shame. And if we’re being completely honest the hardest part about this recipe is waiting while the chicken simmers for 40 minutes (becoming fall off the bone tender), but hey that's what wine and cheese are for! This recipe can be adjusted to serve 8-10 guests by adding an additional pound of pearl onions and working with 5 lbs of chicken, in batches. You will not need to increase anything else. Since the braised chicken is the star of this show we wanted to put together some side dishes that would complement our chicken. However as with everything we make we wanted our side dishes to taste and look delicious. We went with roasted Brussels sprouts, mashed sweet potatoes, and a winter citrus salad. For the Brussels sprouts we kept it very simple. 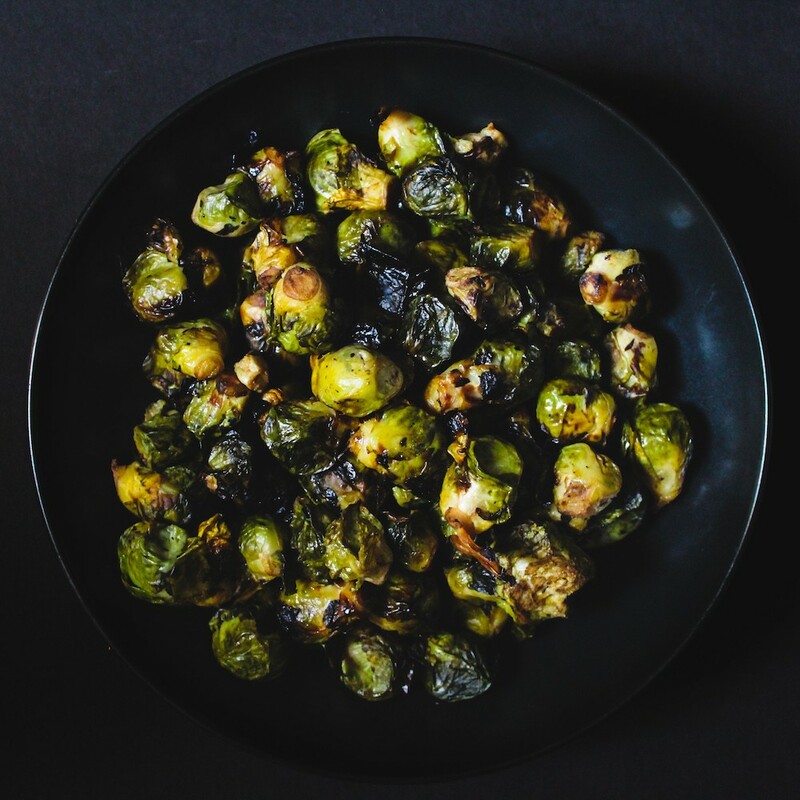 We tossed the Brussels sprouts with olive oil, salt, and pepper and we roasted them in the oven at 400° until they were the perfect amount of charred. The sweet potatoes were boiled until soft and then processed in a food processor with a little honey, cinnamon, and salt until they were completely smooth. 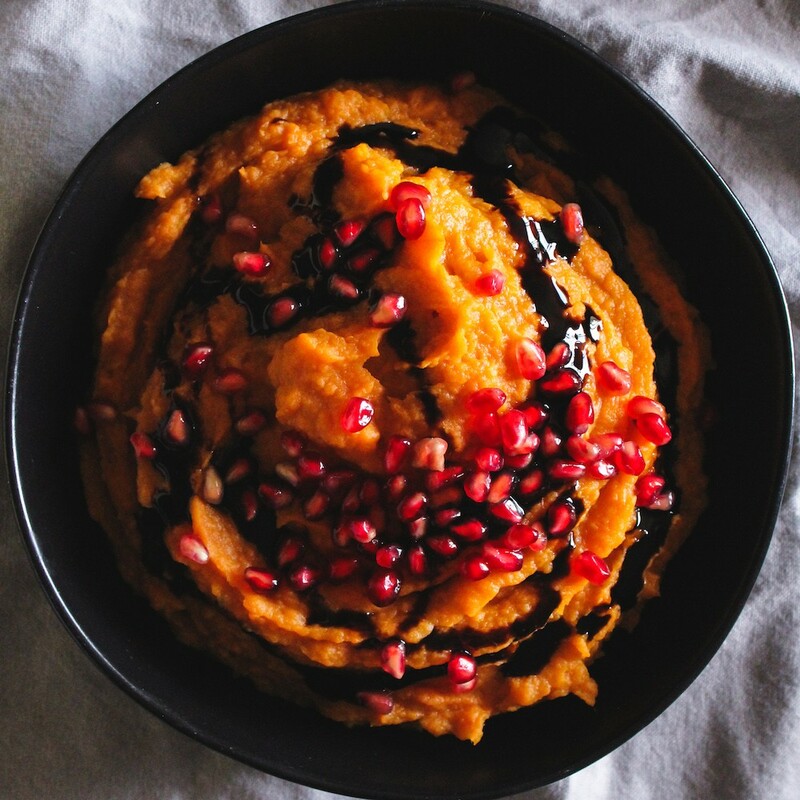 If you want to give your sweet potatoes even more of an oomph then try adding a balsamic drizzle and pomegranate seeds. 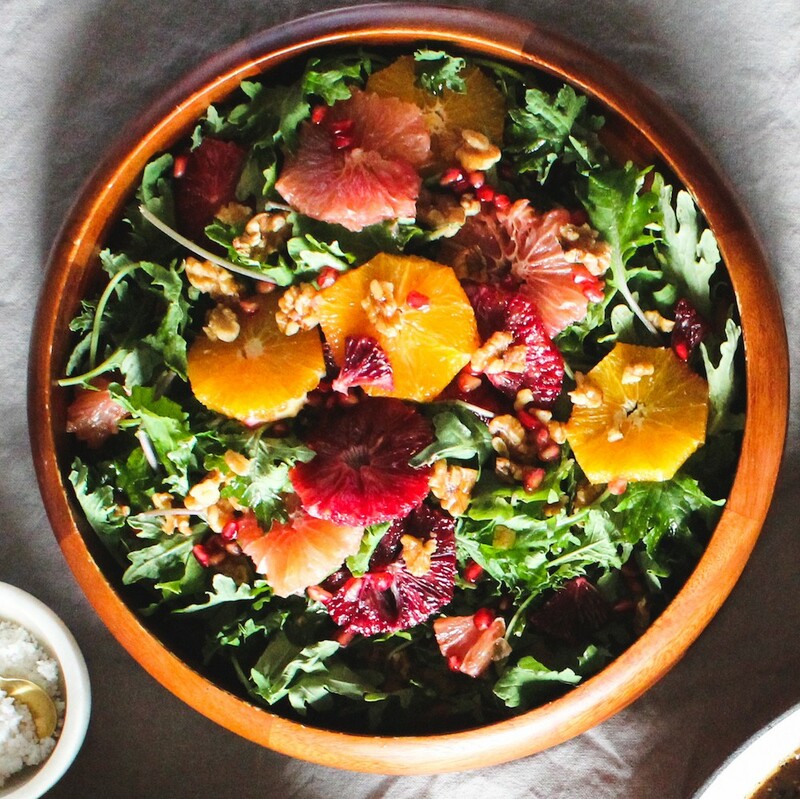 The citrus salad is something really easy to make your own. Start with some of your favorite greens and add sliced citrus to the top of your salad to make it look especially delectable. Then add MiaBella balsamic vinegar or a citrus dressing of your choice. 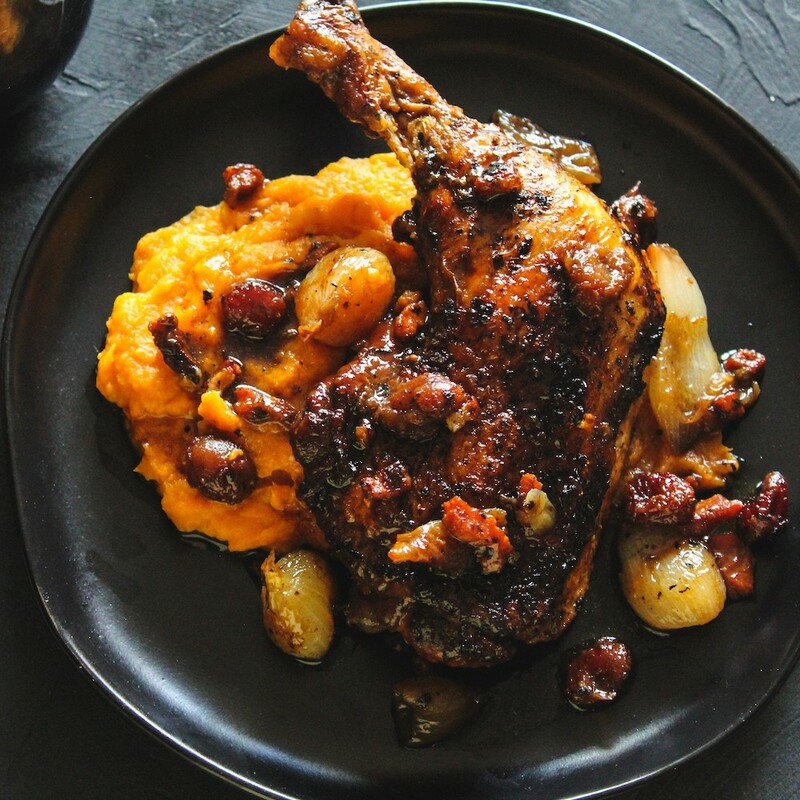 Put all of this together on the dinner table and you have the perfect fall meal. In a large pot of salted boiling water add pearl onions whole and cook until tender, 5-8 minutes. Drain and let cool. Trim the root ends and peel, the onions should pop right out of the skins. In a braising pot or dutch oven heat olive oil over medium heat. Add pancetta to pot and cook, stirring occasionally, until fat is rendered and pancetta is brown 8-10 minutes. Using a slotted spoon, transfer pancetta to a large bowl. Add onions to same pot and cook, stirring occasionally, until beginning to brown, 8-10 minutes. Add garlic and stir frequently until the aroma is released about 1-2 minutes. Transfer onions and garlic to bowl with pancetta. Pat dry the chicken and season with salt and pepper. Depending on the size of your pot(or if you’re cooking 5lbs of chicken) you may need to work in batches to avoid any overlapping. Add chicken to pot skin side down and cook, turning, until browned on all sides, about 10-15 minutes per batch; transfer to bowl with onions. Carefully drain fat from pot and bring to medium-high heat. 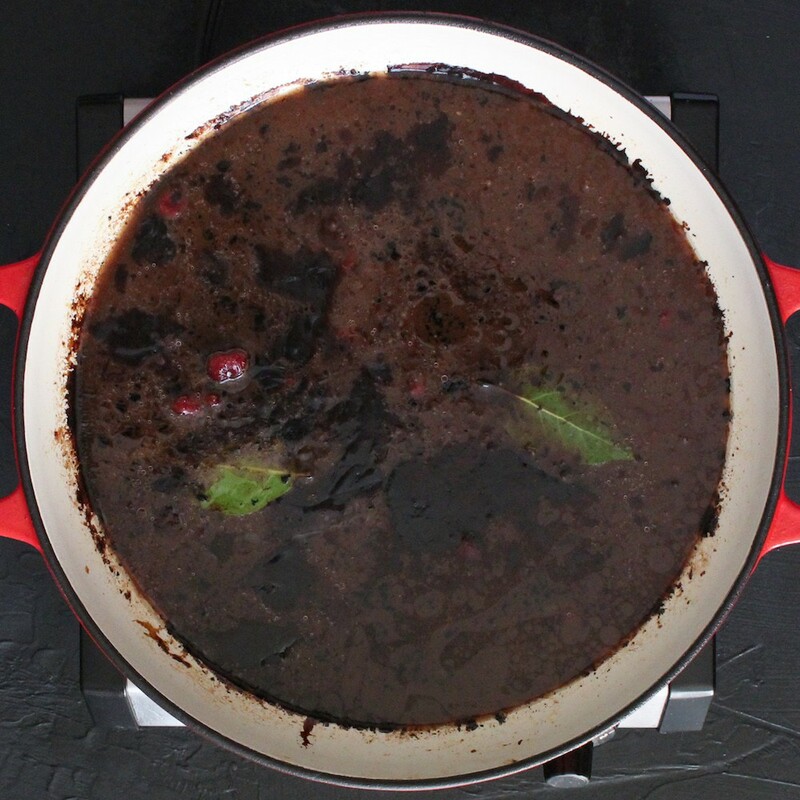 Add red wine vinegar and MiaBella balsamic to pot and bring to a boil. Scrap up any browned bits from the bottom of the pot and stir to incorporate. Add chicken stock, dried cranberries, bay leaves, and the reserved chicken, pancetta, onions, and garlic to pot. Bring to a boil, reduce the heat, and simmer, partially covered, until chicken is fork-tender, 35-40 minutes. Using a slotted spoon, transfer chicken and onions to a large platter for serving. Remove bay leaves and spoon sauce over chicken and onions. You can also prepare up to this step ahead of time and bring the dish back up to temperature over a low flame before serving.